Widely considered one of the nicest men in an often heartless profession, Gurban Gurbanov, a man who once enchanted fans as an elegant maestro with Neftchi Baku, Dynamo Stavropol and Fakel Voronezh, among others, now faces a colossal task of rebuilding the Azerbaijan national team. 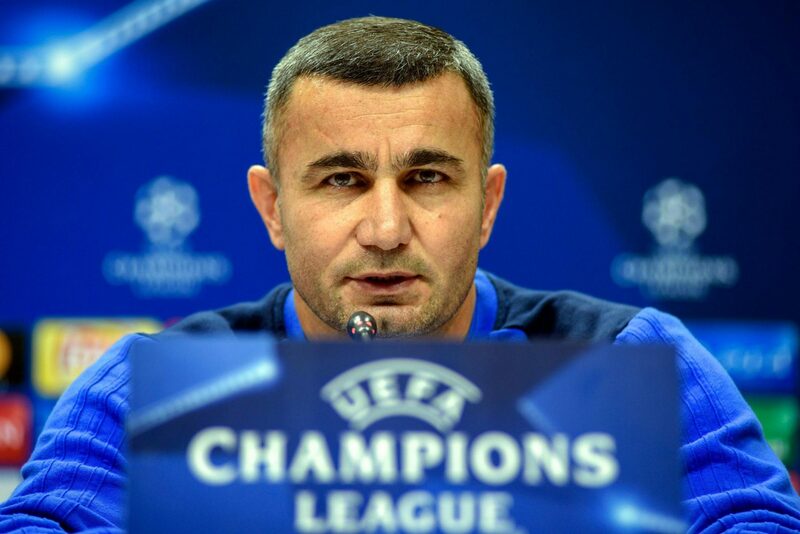 Having managed the top dog in Azerbaijan’s domestic league–Qarabağ–since 2008, Gurbanov took on a double role, as manager of the Milli, or the Azerbaijan national team, on November 3, 2017. Since then, the team’s results have been mixed, with three wins, five draws, and two losses. The team delivered a pathetic performance last time out, with a dismal display in a draw at home against Malta. Gurbanov handled the criticism following the dram with customary grace. Yet as he wrapped up a training session, a bonfire in an adjacent back-garden was spewing out smoke, reflecting the dark clouds around the national team amidst the spluttering form. Gurbanov, his sure-footedness enduring from his memorable playing days, must now glide through the the acrid smoke and deliver the national team with a much-needed breath of fresh air. When Rufat Dadashov departed 1. FC Saarbrücken for Germania Halberstadt, trading one lower-league German club for another, his reputation was so low that the Die Molschder literally gave him away for nothing. He had become a laughingstock in both the league and his home country. But now, after making his sixth free transfer in four years (yes, you read that right), “DadaSHOW is back” — perhaps better than ever. His road to redemption has been a lengthy one, yet it speaks volumes of the progress that the 27-year-old has made that the widespread — and justified criticism, has now turned into excitement and hope that he can be the goalscorer that Milli desperately need. The last time Dadashov turned out for the national team was 2014, having been ignored b previous Azerbaijan manager Robert Prosinecki. Arguably the most in-form striker in Germany’s 3. Liga right now, Dadashov is at the summit of the league scoring charts after an incredible recent run of games. The Azerbaijani striker has spearheaded Berliner FC Dynamo and SC Preußen Münster’s attack this year, and looks almost unplayable at times with his deadly combination of execution and power. After spending his formative years in German youth academies, Rufat’s 19-year-old brother, Renat, joined Portuguese side Estoril this past June with a dream of developing as a player and refining his skills. The teenage striker has managed three goals in five games for Estoril, who are looking to ascend back to the top tier of Portuguese football after finishing bottom last season. Though the Milli‘s youngest ever player hasn’t scored his debut goal for the national team yet, given his ability, this young lad can absolutely wreak havoc in future, and he is surely one to keep an eye on. Gurban Gurbanov is hoping to see the best of Dadashov brothers in the coming months. There is no love lost for Ramil Sheydayev, who after an unsuccessful move to Trabzonspor that was peppered with loan spells, made the permanent move to PFC Krilya Sovetov Samara in a move this summer. After excellent games at youth level, the 22-year-old Azerbaijani’s shine has since evaporated, as he has failed to live up to his potential. A stint in Azerbaijan did little to revive his career, nor did a return to Krilya Sovetov, and fans have taken to social media to highlight the side’s improved form without him. Watching the decline of a good player is always hard. Right now, it hurts to watch Kamran Aghayev play goalkeeper for Keshla and Azerbaijan. Aghayev won trophies and plaudits thanks to his confidence and his shot-stopping ability. Part of the reason the “sweeper keeper” moniker stuck to Aghayev was because of his fearlessness in coming out of the box for the ball, and he earned acclaim as a proficient penalty stopper, having saved 10 of 13 penalties for the national team. However, since returning from his injury, Aghayev hasn’t been the same player. At 32, Aghayev’s confidence appears to be declining, as does his ability to stop shots. Previously seen as Azerbaijan’s most promising player, the hype and excitement has been drowned out by a debate over Mahir Madatov’s antics, arrogance, and poor performances. Madatov rose to acclaim as one of the most talented players in the league last season, and has enchanted scouts with promising performances, cutting in from the right and skipping over the defenses of Arsenal and Sporting in this season’s Europa League group stage. However, as any Azerbaijani fan will tell you, he still has a lot of growing up to do if he is to evolve from a prodigious talent into the real deal.